President Trump has called the media corrupt, dishonest, the enemy of the American people. But when the House decided to pull the vote on his health care legislation, some of Trump's first calls were to the media, and specifically reporters from The Washington Post and The New York Times -- two of the news outlets he has attacked the most. The president's calls highlight a longstanding incongruity between his statements and his actions when it comes to the media. While he rails against the mainstream media, he appears to care deeply about its coverage -- and especially its coverage of him. The calls to the Post and the Times are reminiscent of the way a younger Trump called the New York City tabloids when he was going through a divorce or a financial loss. Calling reporters directly, he worked to spin the narrative to his advantage and offload blame. In a similar move, Trump called the Post's Robert Costa and the Times' Maggie Haberman on Friday before giving remarks to a pool of reporters. In those calls, Trump blamed Democrats for the bill's failure, according to tweets from Costa and Haberman, and said Democrats would be ready to return to the matter when Obamacare "explodes." Rep. Adam Schiff, a leading Democrat, took issue with that characterization, calling it the "Art of the Squeal." 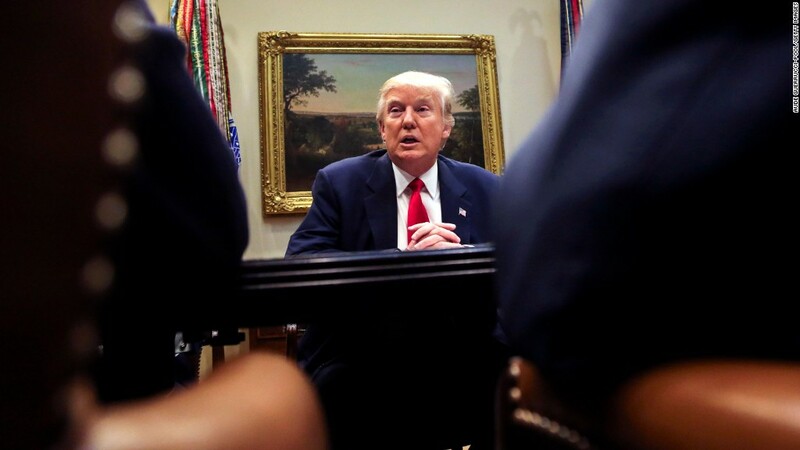 Trump made his calls to the media before House Speaker Paul Ryan held his own press conference, at which he announced that the House was pulling his Obamacare repeal bill from the floor. "Obamacare is the law of the land," Ryan conceded at the press conference. "We're going to be living with Obamacare for the foreseeable future."